Given the incredible music lineup for the Vivid lights festival in Sydney this year, we thought we’d celebrate with our May Playlist! 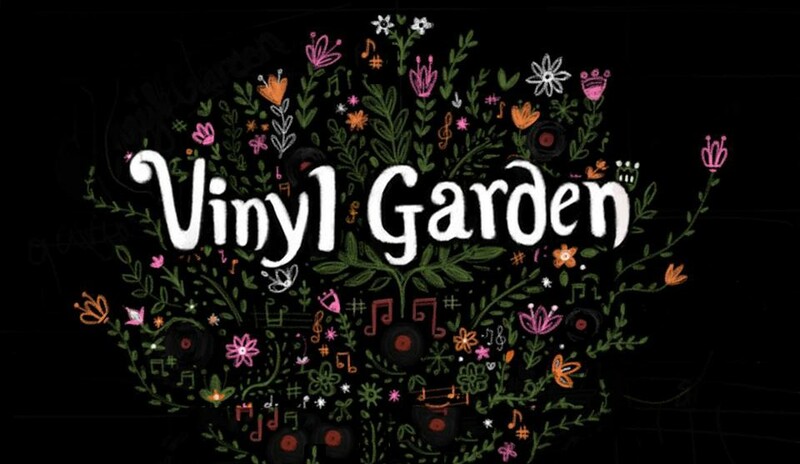 A tribute to the growth of this exciting Sydney festival, the playlist includes some of our favourite acts from the lineup such as St. Vincent, James Vincent McMorrow, Pixies, Fishing and The Presets. DMA’s are too cool for school. We’re talking denim jackets, American Pie, Converse High Tops cool – the best, most 90’s influenced kind. I was honestly a little confused when I first had a listen to this EP after seeing the artwork: it was not at all what I expected. With those flipped up caps and bucket hat, I was seriously preparing myself for an onslaught of Aussie hip hop. My ears were met instead by fun, almost Oasis-like pop! The record is very pulled back, with bare guitar lines driving the rhythm and raw vocals, a refreshing sound for today’s brand of alternative rock. You can particularly notice this in tracks like “Your Low” and “Play It Out”. Interestingly, the Newtown-based trio recorded the standout single of the EP, “Delete”, in guitarist Johnny Took’s bedroom before getting signed with I Oh You. And listening to it, you can almost picture how much fun it would have been to lay down the tracks and hang out; it’s a real throw back to one of the best decades of music. 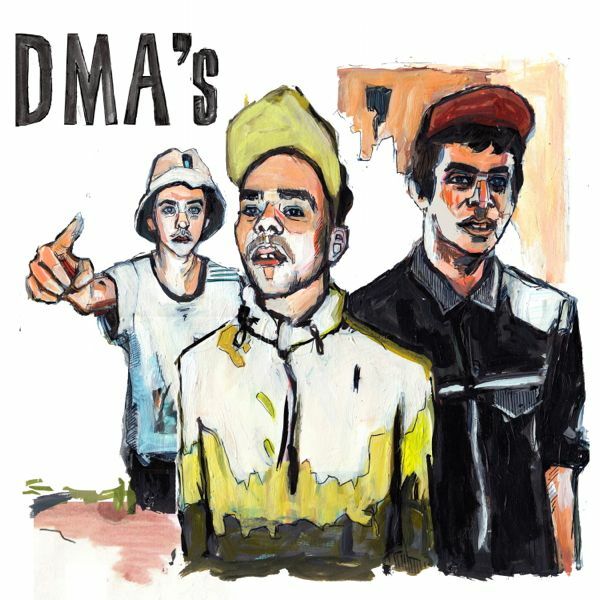 This is an impressive first release from DMA’s and one that suggests we should keep a close watch on what’s to come! DMA’s are in the process of performing their first live run of shows, with tickets still available for the Brisbane show this Friday 30 May. 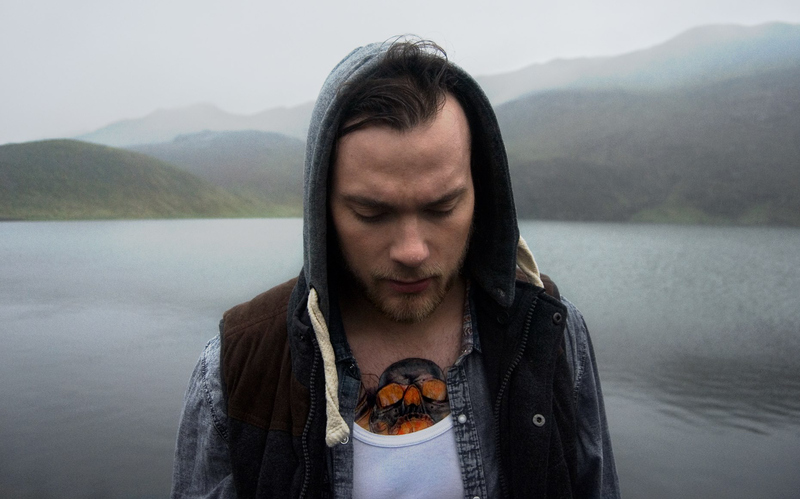 If you haven’t checked out Icelandic folk acoustic artist Ásgeir yet, then do yourself a favour and get his stunning song “King And Cross” on your current playlist. Right now. Besides exhibiting that fabled European beauty with his lazy beanie, neat stubble and icy blue eyes (ahem, back on track now Erin), he creates magic with thick harmonies and simple, bright guitar lines. Think a little of the rhythm of Sigur Rós with a touch of echoey vocal stylings like Dustin Tebbutt. He strikes a nice balance between relaxing yet energising in his music – something that’s often hard to find in the genre! You can listen to more of Ásgeir’s sweet tunes in his new album In The Silence or catch him on his Australian tour later this year. The Standard Bowl is my new favourite venue in Sydney. There is bowling, there is live music, there is alcohol, there is a pool table, downstairs there is Johnny Wongs Dumpling Bar and it is free entry…what more could you ask for? There have already been some great gigs, including D.D Dumbo, The Griswolds and I Know Leopard keep, with a gig line up that is updated weekly, this is the place to be on a Saturday night in Sydney. The vibe: Grungy 50’s style arcade. It is very cool, and you will instantly feel a bit cooler by just stepping inside. What to drink: $7 PBR Cans. Pretty standard drinks menu. Who you’ll see there: Hipster hotties, gig goers, people having fun. When’s best to go: It is definitely best to go on a busy night because the atmosphere is much more exciting (so Friday or Saturday) also the gigs are generally better on these nights. But if you are just going for a bowling sesh go Thursday, there will be less of a crowd to take away from your bowling time. You can spend a long time in this place and not get bored, so plan to spend most of your night here. Tonight Service Bells and Claws and Organs are playing, why not check it out? 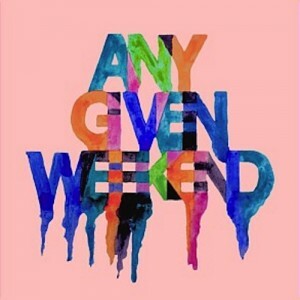 The debut album release of Northeast Party House, Any Given Weekend, is a young, powerful statement through strong beats and an underground party vibe. 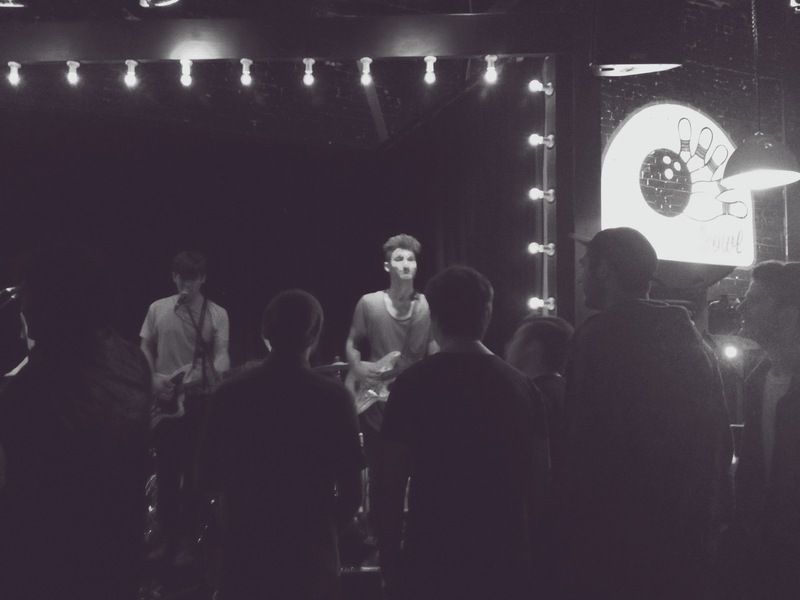 Northeast Party House have always had a difficult style to pin down; they shuffle between danceable beats, jamming bass hits and hard vocals. But who cares about trying to label it when they’ve produced such a unique, consistent style? The opening track “The Haunted” has gotten a bit of attention and it’s not hard to see why – it’s an addictive dance tune with repetitive, strong lyrics. There are a lot of angsty kind of tracks on the album. “Youth Allowance” is fun but perhaps not completely appropriate after the recently announced 2014 Budget! It makes you want to boycott society and dance up a storm in protest. “Fake Friends” has a drunken feel and a bunch of striking layers. “In The Water” is a highlight, and probably one of the easiest tracks to listen to on this album. For those unacquainted with Northeast Party House’s style it’s a nice introduction. Catch Northeast Party House on their national tour at the newly renovated Newtown Social Club on the 28th June or at The Lair on the 29th June. Andy Bull and his characteristically androgynous voice are exploring a refreshing new sound in his single, “Talk Too Much”. Featuring a choral-like intro that seems to be popular at the moment (check out I Got U – Duke DuMont, Jax), some pretty festive drum hits and a catchy walking synth line, it’s a super fun listen – perfect for your drive home or a cheeky start to your day! 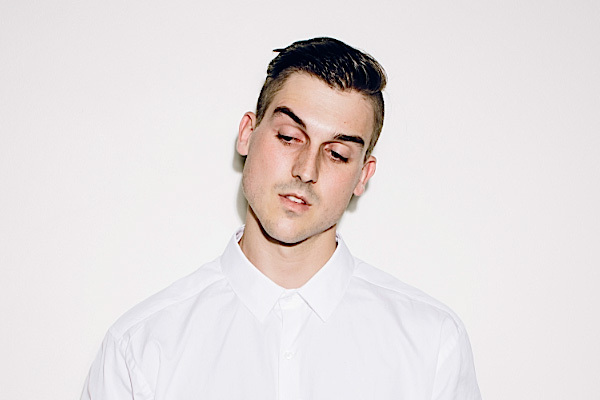 This artist’s got a really special voice and even more personality (just listen to him talking on any radio show ever), he’s definitely an interesting Sydney producer to keep an eye on. Look out for Andy Bull’s upcoming album, Sea of Approval to be released July 11 this year. With a zesty sound that takes you on a bit of a psychedelic journey, HAWAII 94‘s new EP Nightvision is one to watch on the synth electro scene. With a clash of slow and fast rhythms and moods that go up and down, this album offers an interesting and captivating listening experience. A highlight on the album is most definitely “Apparition”, with its cool beat and moody vocals it definitely caught my attention. Another highlight of the album is the artwork on the cover by Ted Supercar. 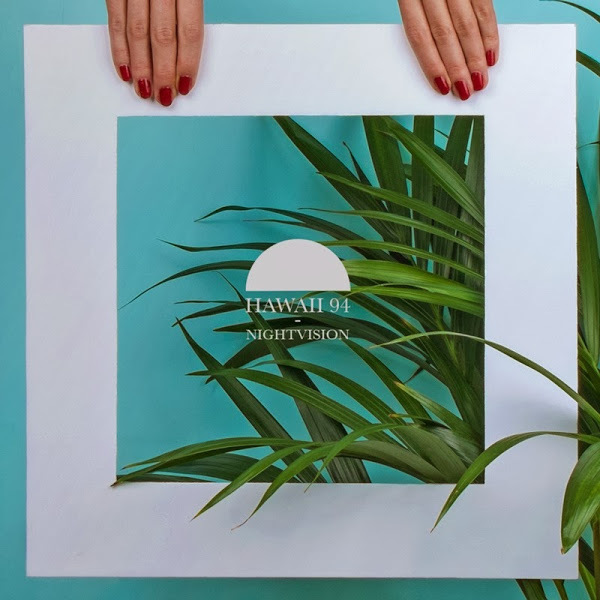 It is really cool and eye catching, and helps to set the scene taking your mind away to a tropical island where you can get lost in your thoughts, it’s like a Pina Colada for your ears.